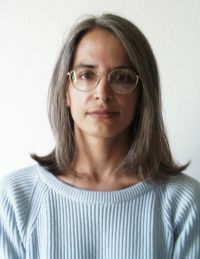 C�ndida Ferreira studied Biochemistry at Kharkov University (1985-1990) in the former USSR and received her Ph.D. from Lisbon University in Biology in 1995. She joined the Department of Agricultural Sciences at The Azores University in 1994, where she was Assistant Professor of Biochemistry since 1995 till October 2001. She invented the revolutionary Gene Expression Programming technique in 1999 and in 2000 co-founded Gepsoft to develop and commercialize mathematical modeling software based on the GEP technique. She now works full time at Gepsoft as Director and Chief Scientist. Her research spans the interplay between molecular biology, evolution, and machine learning. If you have any GEP questions, please feel free to join me at the Gepsoft Forum where I�m active answering all kinds of questions relating to GeneXproTools, which of course also include questions about GEP. Mathematical Modeling by an Artificial Intelligence. 1. Ferreira, C. 2000. Processo de Express�o Gen�tica para resolver problemas tais como optimiza��o, descoberta de fun��es, planeamento e s�ntese l�gica. Portuguese Patent Application No 102508 filed August 10, 2000. Issued March 31, 2005.